This is a fantastic tip for anyone who has trouble applying lipstick, or if you are new to trying bright lip colours. The great thing with light glosses, are that you can be a little bit messy over your lip line, and its not noticeable. But when dealing with bright colours, you need to be much more perfect with your lines. 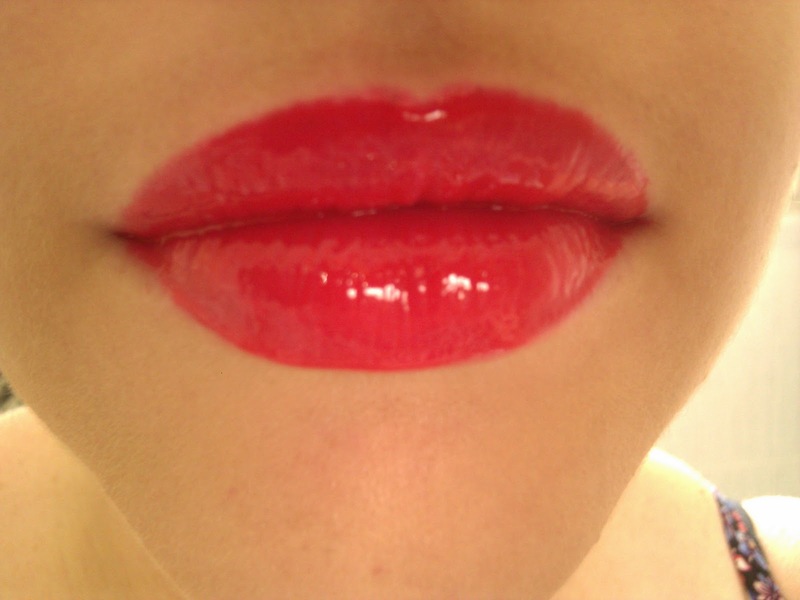 The "Y" technique helps to break up the lip into smaller parts so it is easier to fill the colour in. You can either do this with a lip gloss applicator that comes with the lip gloss or apply it with a lip stick by using a lip brush. The pictures I uploaded are done with a lip gloss. 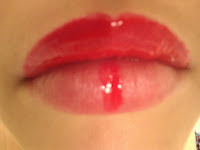 I also did a lip stick one, but the colour didn't turn out well on the photos so I wont upload them. But I might try later again tonight with a brighter colour if I have time. Firstly prepare you lips by exfoliating and putting a thin coat of balm on them. 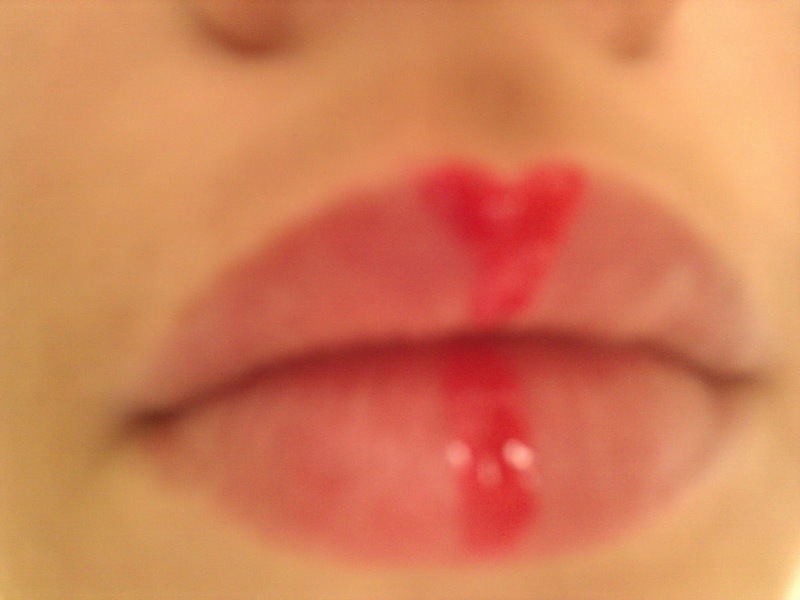 Then draw a "Y" onto your lip. 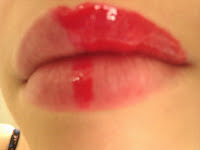 Do this by making a V shape on your top lips, then continue by drawing a vertical line down the middle of your bottom lid. Start filling in the colour on one side of your top lip. Then fill in the other top side, so your top lip is all filled in. Are you a fan of the "Y" technique? Feel free to link any photos that you have done of your "Y" technique in the comments. PS I used Napoleon Perdis Chandelier Shine Lipgloss in "Lust"
This is a fantastic tip Amy and I love the new font.